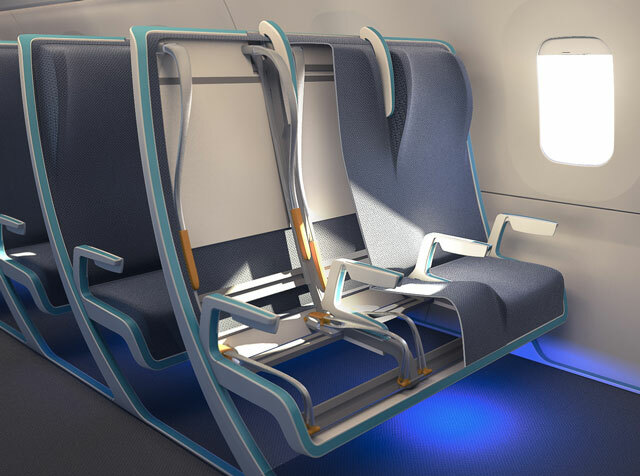 Morph is a design concept for an adaptable economy airline seat that can be easily adjusted to accommodate passengers of different sizes and shapes. Instead of traditional cushions, Morph features fabric stretched over the seat frame. A row of three seats consists of one unified frame with moveable armrests that act as partitions. 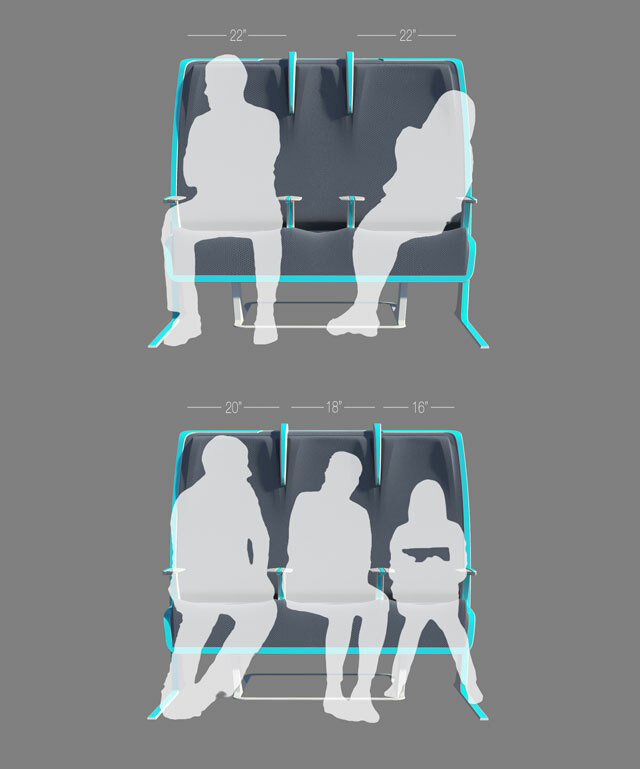 By moving the armrests left or right, seats can be made wider or smaller. Similarly the seat backs and seat pans can be adjusted by moving supports hidden under the fabric. Morph was created by Seymourpowell, a London-based design company.